paying homage to these awesome tiny creatures! 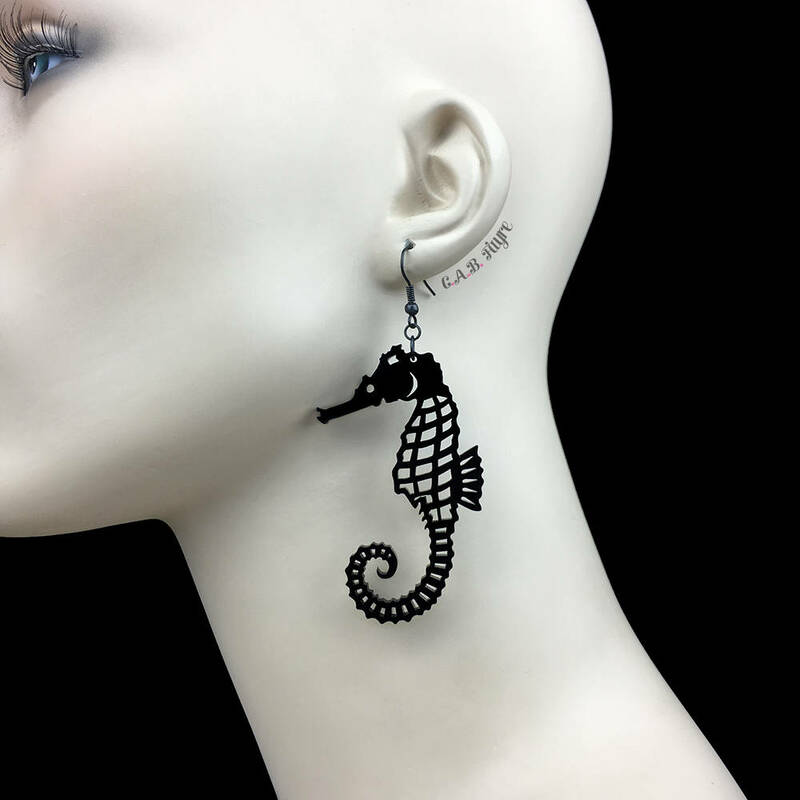 At 2.5" tall these seahorses won't go overlooked and are not recommended for those who like small subtle jewelry! They come on nickel free earring wire hooks that come with rubber backs. They are made of 1/8" thick acrylic that is lightweight & comfortable to wear! - Total Earring Length: 3.25"